The Pathways Project includes interim and long-term measures to provide homeless community members with paths to appropriate social services — including a new navigation center and a communal village — that require financial investment and community engagement. Recent reports estimate Berkeley’s homeless population living in shelters and on the streets to be between 800 and 1,200 individuals. “The homeless crisis is our most pressing emergency,” Hahn said at the press conference. Since December, the city of Berkeley has doubled the capacity of its emergency shelters and warming centers, and has also seen a successful drop in homeless veterans since 2009. But the number of homeless individuals in Berkeley has increased since 2009, and at least four died on the streets this winter. Describing the project as a series of phases, Arreguin announced at the press conference a proposal to develop a navigation center — called the STAIR Center — where individuals may stay for one to two months, and where they would be connected to long-term housing options. The establishment of the STAIR Center would be followed by the development of a Bridge Living Community that incorporates a tiny home model of temporary structures, with both being operated by nonprofits. Sonja Fitz, director of development and marketing for homeless services nonprofit Building Opportunities for Self-Sufficiency, said the general concept of the Center and the housing village are not new, but that redesigning them to exclude dormitories and incorporating tiny homes would enhance the services the city provides. 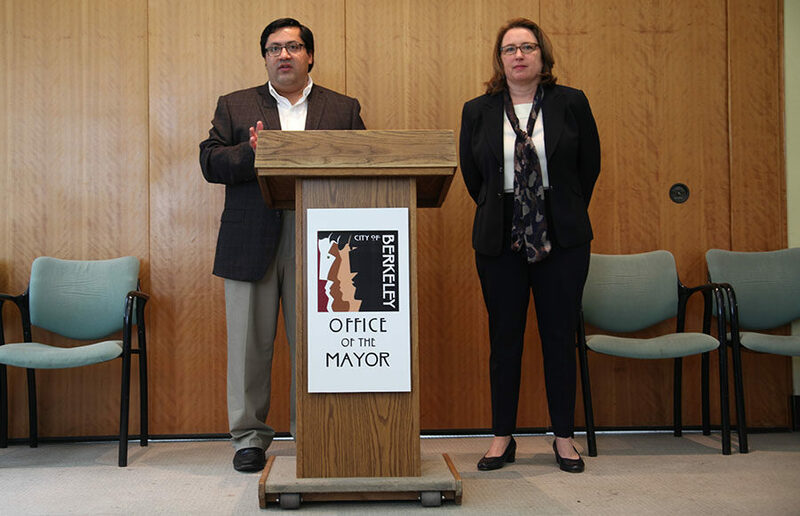 Marasovic said nothing happens quickly in Berkeley, stating that the projects and plans would still need to go through a competitive bidding process and obtain permits, even if the city is in a crisis. Zint added that he thought preliminary sketches of the STAIR Center looked like a refugee camp, where large windowless eight-person tents are positioned in a line, fenced in and guarded by an attendant. Brett Schnaper, a 55-year-old Berkeley resident who has been homeless since August, added that a navigation center is required for people who have had a history of mental illness or drug use, and that he would not personally want to sleep with strangers. “The devil’s always in the details. There’s only a certain amount of control over my life I’m willing to cede to government or others,” Schnaper said, adding that freedom and dignity is important to him at his age. 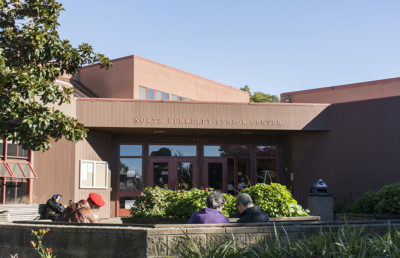 After examining how other cities have addressed housing their homeless communities, Arreguin and Hahn modeled the STAIR Center after the navigation centers of San Francisco, which has employed a street outreach team to consistently meet at areas where homeless individuals are concentrated, and has successfully led 85 to 90 percent of the individuals it has reached out to, to navigation centers. Arreguin said at the press conference that the new project would direct staff to first examine methods of rapid rehousing. According to an outline of the Pathways Project, nearly 3 in 4 homeless individuals in San Francisco were formerly housed. The STAIR Center is estimated to cost $2 million to establish and would involve additional operating costs, according to Arreguin. Part of the costs may be funded by Measure U1, but the city is looking at public-private partnerships to raise funds. The navigation center and housing village are intended to remain open 24 hours per day and would allow pets. 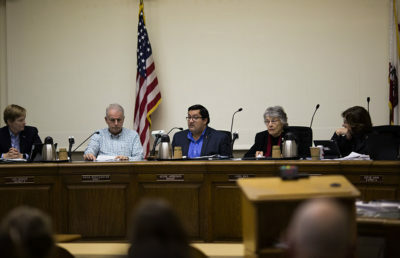 The Pathways Project, which is co-sponsored by councilmembers Kriss Worthington and Linda Maio, has received input from community leaders and homeless activists and is scheduled to be introduced to City Council at its April 4 meeting, according to Arreguin. If the project is approved, city staff will be authorized to begin formally developing a 1,000-person plan, which will be presented by the end of the year. 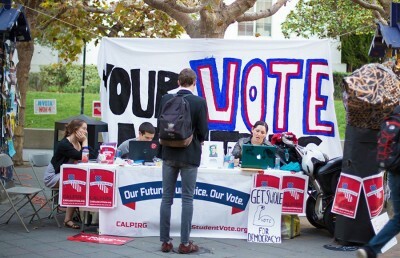 Senior staff writer Melissa Wen also contributed to this report. Pamela Larson covers city government. Contact her at [email protected] and follow her on Twitter at @pamreporting.